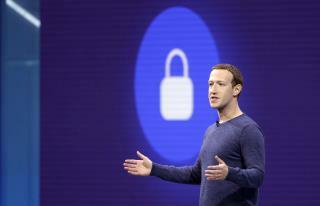 (Newser) – Mark Zuckerberg set the lofty goal to "fix" Facebook in 2018. "Proud of the progress we've made" but with work still to do, he's now eying the tech industry at large, reports CNN. "My challenge for 2019 is to host a series of public discussions about the future of technology in society," featuring "leaders, experts, and people in our community from different fields," the Facebook CEO writes in a post. Zuckerberg says the discussions will come in different formats, shared via Facebook, Instagram, and other media, "every few weeks." Included is a personal challenge: No longer able to let ideas "speak for themselves … I'm going to put myself out there more than I've been comfortable with and engage more in some of these debates." Facebook itself is done (major advertisers are leaving) but Instagram is still going strong and when that is done, Zuckerberg will just be able to buy whatever is growing network at the time. Zuckerberg's Personal Challenge: Don't be as big a f**k up this year as last year.